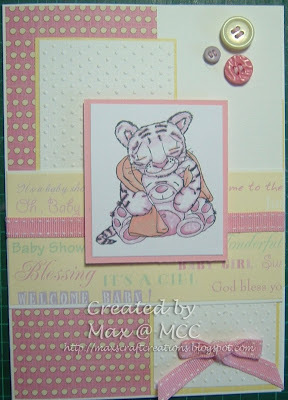 This card is heading to the very proud and happy parents of a beautiful baby girl born yesterday at 10.30am. I selected this particular image from my My Graphico freebies folder, because in the oriental calender, 2010 is the Year of the Tiger - the perfect way to depict the birth of a little tigress. I coloured with Promarkers, using the blending pen to try to achieve the soft tones I wanted. 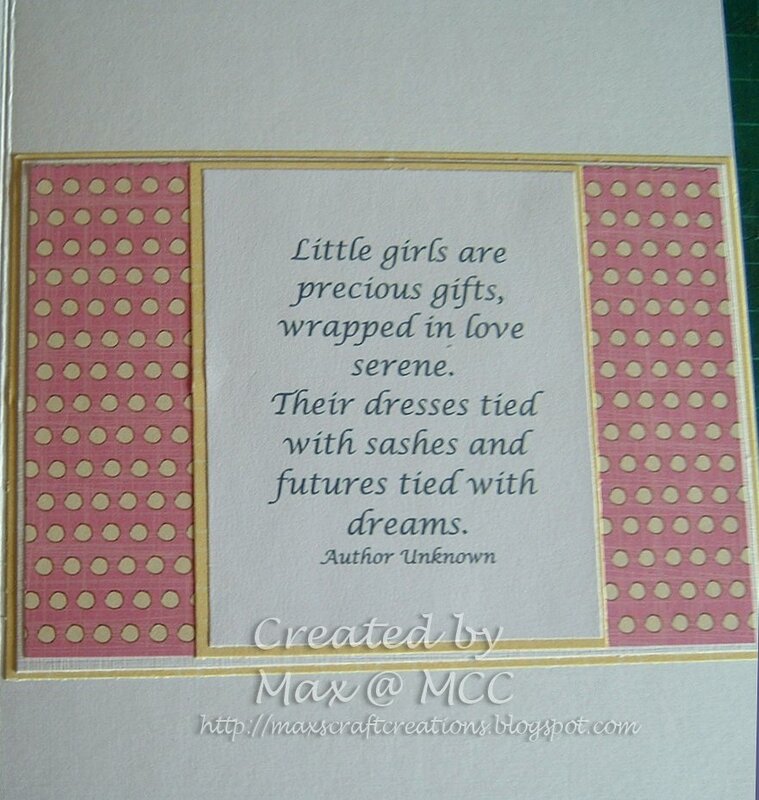 Panels of pretty pastel papers matted onto plain cardstock, a strip of pink ribbon and a trio of buttons help to enhance this new baby card with the lovely verse inside as the finishing touch. It is clear that her arrival has already had a huge impact on the lives of the new parents and I absolutely guarantee that the flame of parental love is going to burn brightly in their hearts forever. Welcome to the World Ella. I scouted around in the hope of finding a couple of challenges that would be appropriate and managed to track these down ... just hope my entry is eligible for them all. oh Max this is just so sweet. A beautiful card I love the image and the verse is so nice too. Aw such a sweet card...adorable image.